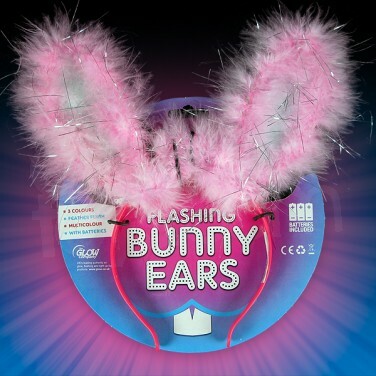 Bright, flashing and trimmed with super soft feathery pink fluff, flashing bunny ears are full of fun making them the perfect head wear for parties! Red, blue and green LEDs flash and chase through the centre of the ears in an eye catching display that's guaranteed to get you noticed! 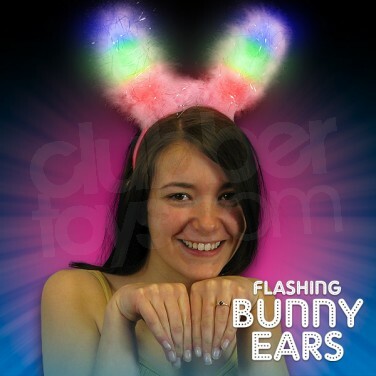 Brilliant for hen do's, girls nights and partying, transform yourself into a flirty bunny with flashing bunny ears. 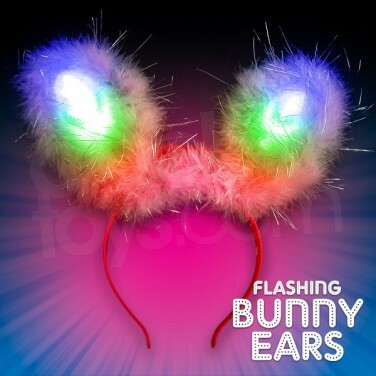 Each bunny ear lights up in 3 flashing colours!